Welcome to Mentoring Mondays!! 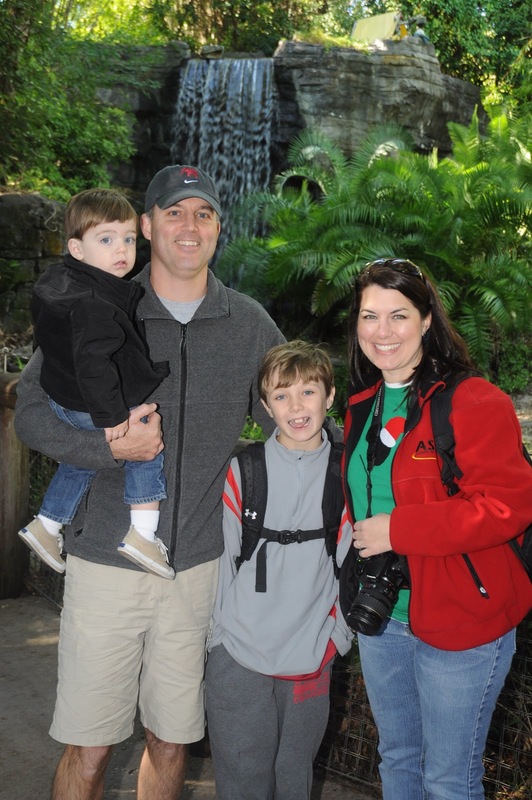 Today's featured blogger is Beth Green of A Disney Moms Thoughts. Beth holds a special place in my heart, she is the very first person to follow my blog. I think she accidentally found me right after Auburn won the national championship when I posted the Auburn Fight Song. So you see, we share three very important things, our love of Disney, our love of Auburn University (War Eagle Beth!) and we are both Alabama girls. But I have to tell you, even if we didn't share these I would still love her blog. So I will step aside now and let you read what you really come here for. My name is Beth Green. I’m a mom of two boys ages 10 and 2. While I am the “Disney Freak” in the family, all my boys support my obsession and we try to travel to WDW at least every other year, if not every year. When I’m not blogging about Disney or being a mom, I am a full time youth minister. “A Disney Moms Thoughts” is now 15 months old! Through my blog I try to share my thoughts, ideas, tips and experiences about Disney, particularly Walt Disney World. Many of my posts deal with our past travels and traveling with children. 3. I know you write for the Magical Blogorail Green, and are a guest blogger on occasion, how are these post different from your regular blog post? My Magical Blogorail posts aren’t that much different from my regular posts. I write about what I know and what I’ve experienced. I know I do a better job of editing my Blogorail posts since I know more people will be reading and I’m linked to other writers- even though I’m sure you will still find type-os and grammatical errors in them… I think sometimes my Blogorail posts are longer because I put more thought into them. We have our topic for several weeks before we go “live” so I have plenty of time to think about the topic and do research if needed. 4. Any tips for those who would like the opportunity to write for other blogs? Don’t be afraid to ask and put yourself out there! When I first ran across the Magical Blogorail I thought it was amazing! It wanted so much to be a part of it so I put myself out there and asked about being a part. When other bloggers ask for guest bloggers, put yourself out there and volunteer! When someone asks for a co-host for a blog hop, put yourself out there. 5. How important are photos to your blog, how many pictures do you usually use in a post? Photos are important to my blog. I try to use at least one photo on each post. Sometimes I use more. I am a visual person and I like to have photos to accompany the text. I like photos (on other blogs) when they are writing about something I haven’t experienced and I try to remember that for my readers. Everyone hasn’t experienced all I have, so when I write about something at WDW, I try to add photos for those people who have never seen or done it. 6. You are a Mom of 2 and Youth Minister for your church and still find time to blog, you must be very organized, any organization tips for us? This question makes me laugh because I am made fun of often at work and home for how organized I am! I have multiple calendars, to do lists, files, binders and spreadsheets going at all times. My organization tips are 1) keep a calendar and write everything on it- when you have appointments, parties, dates, meetings, birthdays, etc. I even write on my calendar when special events are at WDW so I will remember to blog about it at the right time! 2) keep your computer organized. Utilize folders and create good file names so they are easy to find in the future. 3) stay on top of things and don’t let anything get too out of hand (housework, shopping, couponing, laundry, yard work, etc). Do a little each day or week and don’t put it off until it’s too big to handle. 4) once all your “life stuff” is under control, take time to write several blog posts at once and either schedule them to post or keep them to edit before you’re ready to post. 7. I know you use social networking (Twitter/Facebook) and post very regularly. Which do you feel has been more beneficial to you in relation to your blog and why? Personally, I like Facebook better. I’ve been using facebook for years and it’s familiar. But, I get more visitors from twitter, so I guess it’s been more beneficial. It wasn’t until I started using “tweetdeck” that twitter became a useful tool! I can now schedule my tweets ahead of time directing others to my blog. There’s another organization tip! 8. You are currently planning your 16th Disney vacation. Please share a favorite Disney vacation memory. Wow! What a hard question! I have so many so I’ll make a quick list for you~ taking my sons for the first time, running in the marathon (03) and half marathon (08), going on the pressed penny hunt with my friend Heath, spending time at the MK with my husband, and driving the monorail! Be prepared. Have all the “stuff” you think you’ll need at your resort or in your backpack. Be familiar with the parks, the distance between things, and how long it takes to get places. Know the park hours, parade times and your dining times before you arrive and plan accordingly. Don’t think you’ll be able to do it all- you won’t! Thank you for allowing me to be a part of your Mentoring Mondays. What an honor to be interviewed with these other bloggers that I admire myself! If any of your readers have specific questions for me, feel free to ask and I’ll answer- either with my own experiences or after some research! You can contact me through my blog, email, facebook or twitter. Another great interview! Beth knows I think she is great. She offers so much for her readers through her blog, and her kindness shines through in every post! I love it, Beth & Donna Kay! Wow, Beth, your 16th trip! I know it's wrong to envy, but... LOL ;) Btw, like you, my oldest & #2 child are 8 yrs apart, then my 3rd is just 2 yrs younger than that. I really enjoyed getting to know Beth some more!! I think that you are amazing in everything that you do Beth!! Keep it up! I have to agree with everyone, another great one. I learned a lot and I love the pictures of Beth and her family at WDW. I love the sharing of tips and I went back to read some of Beth older posts, I especially like the Monorail one. Great stuff, Beth (and Donna!). So blessed to have met you both and consider you guys great friends! I love both Beth's and think the two of you are the best!! Jodi, I'm jealous too!! I'm only going on my second trip, and I'm older than all of you. BTW my two kids are 10 years 16 days apart. Kelly, AMAZING is a fabulous word to describe Beth. Diane, I love that she send links for the other posts. I went back and read them too! Faith, she is great isn't she? Chad, I am lucky to be able to call both of you friend! My hubby doesn't think you can be friends with people you know from the internet, he doesn't know what he's missing out on does he?? Awesome post! I love reading her blog - it's fantastic. Amanda, I pull for Alabama except the Iron Bowl. Hubby's a Bama Fan. Thanks!! me: "Chad. The Dothan guy who lives in LA now." OR "Beth, from New Hampshire- the Boston fan." OR "Donna Kay, my disney/ auburn friend from Troy." OR "Amanda, bitten by the Disney bug in Leeds." It's almost like a call in radio show where every caller says their name, their home town and a random fact. Hugs Beth!! I know exactly what you mean!! Great questions, Donna Kay! Beth, thanks so much for sharing your wisdom with us! I think your blog is great, but to have such a wonderful person behind it definitely makes it even better!